We know your handbag can make you feel like a million bucks – or not. Our expert authenticators will let you know if your designer bag is the real deal so you can sell it or pawn it for a great price, or just be confident that what you have is legit. pre-loved handbags by Chanel, Coach, Louis Vuitton and much more! Bring your designer handbag to our Allentown, Lancaster, York, Shillington and Elyria locations. A Pawn Plus employee will take photos of your handbag and work with the expert luxury authenticators at Real Authentication to obtain your authentication within 12-24 hours. Standard authentication costs $30. 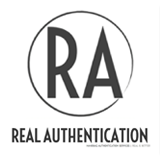 Need authentication on the spot? You can make an appointment for instant results! If you’re interested in selling or pawning your handbag(s) to Pawn Plus, we will make you a conditional offer pending authentication, and then confirm it once your authentication is received. Bulgari, Burberry, Celine, Chanel, Christian Dior, Coach, Dolce & Gabbana, Dooney & Bourke, Fendi, George Jensen, Givency, Gucci, Hermes, Louis Vuitton, Marc Jacobs, Mulberry, Prada, Stella McCartney, Tiffany, Yves Saint Laurent, and many more.